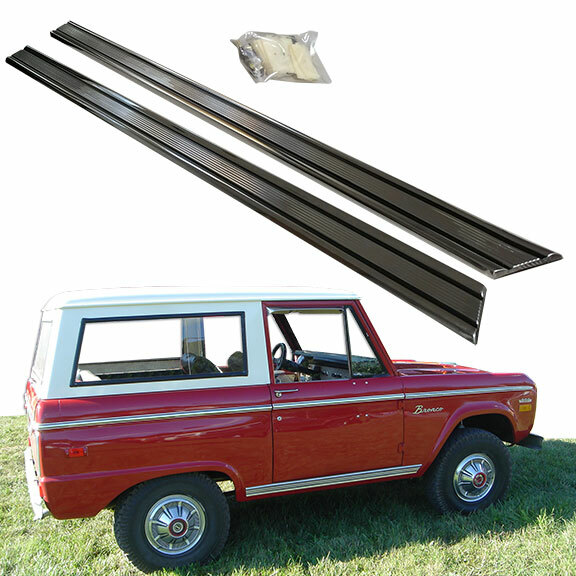 New rocker panel trim for your 66-77 Ford Bronco. 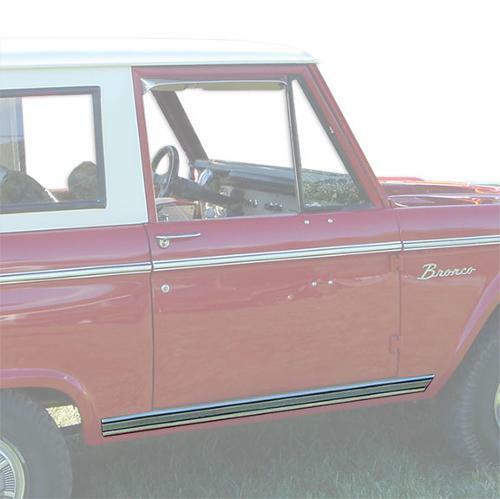 This trim is a direct replica of the factory original chrome trim found in Sport model early Broncos. Includes mounting clips.